If the solar oven is purchased at some stage, the rental amount is applied to the purchase price. 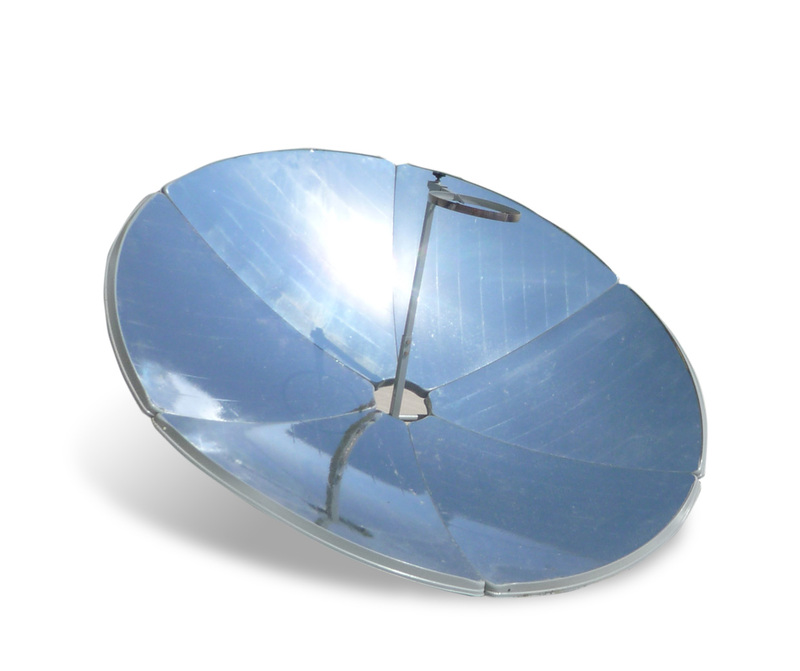 The principle of operation of the solar oven is different from that of the solar parabol cooker. The light energy passes through the glass lid and is further absorbed by the dark absorber metal walls of the chamber, thus being converted and radiated back as longer wavelength heat energy. Most of this radiant energy, because of its longer wavelength, cannot pass back out through the glass and is therefore trapped within the enclosed space of the chamber. Trapping the radiated heat energy ensures rising the air temperature inside and thus cooking the food in the pot. The pot itself may be metal-made, but also glass-made. Four additional reflectors bounce additional sunlight through the glass, into the solar box. The greater the intensity of solar radiation, the higher the air temperature in the chamber. For the latitudes of Bulgaria (41-44°N) the solar oven PSO-01 reaches a maximum temperature of about 140 °C.